The different belief systems and practices within single Asian families and the confusion they create. It is often said that the first generation creates the wealth, but that it is the second generation that creates the legacy. In an overseas Chinese Family Business (“CFB”) the traditional approach is for the founder to leave the ownership of the business in equal shares among all of the legitimate heirs. In the past, this meant all of the sons. However, it is more common these days to see all of the children of the founder becoming equal shareholders when the founder passes, if not before then. In the stereotypical CFB, the founder is also the father and the head of the family. 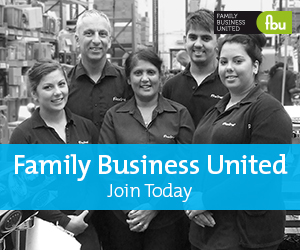 While the founder is alive the family is kept together and working together in the business. Sometimes, the surviving spouse of the founder can also keep the family united in the same way. But what happens when the founder is no longer around? Can the siblings work together as equal owners to continue the family firm? Family governance expert, James E. Hughes, the author of “Family Wealth: Keeping it in the Family” (Bloomberg Press) notes that in his experience, the members of the second generation will either see themselves as an “Inheritor” on the one hand or as a “Steward”. What do we mean by a “Steward”? This term refers to a member of the second generation who wants to work together with his or her fellow siblings to see the family firm continue under family ownership. They see themselves as being under an obligation to pass on the family firm as a legacy asset to the next generation. To such a person, legacy is important. A Steward is likely to be emotionally committed to the family firm. On the other hand, an “Inheritor” sees their ownership in simple financial terms. Such a person is more like an arms length investor. Importantly, they want to be their own person, and they do not want to feel like they have to work together with their other siblings. Under our definition, they may lack emotional commitment to the family firm. In terms of family culture, a person who is a Steward has an inward looking orientation. This means they tend to look in towards the family unit. A person who is an inheritor looks outward. This means they tend to look away from the family unit and they like their independence. Neither of these two paradigms is inherently right or wrong. If all the siblings see themselves as individual Inheritors, you know there is little point in attempting to get them to work together as a family team. Family teamwork and the skills this requires is not an aspect of the Inheritor paradigm. If all of the second-generation owners see themselves as Inheritors, they may still decide to keep their shares intact together out of economic necessity, to pool their financial capital. However, in this event they will be more like a group of unrelated investors. The second scenario is one where all of the second-generation owners see themselves as Stewards. By our definition, this implies an intention, a motivation, to want to work together. However, will good intentions be enough to make a difference? You could have a group of Stewards who feel very committed to the family legacy, but who still struggle to work together because they lack the necessary skills for effective communicating, decision making and conflict resolution, and because they don't know how to overcome the tendencies of their family system (i.e. family dynamics) that are inappropriate for the business system. Having good intentions is one thing. Having the rights skills is another thing. It is often said that power corrupts. You could have a group who define themselves as Stewards, but who cannot really work together because of politics or power struggles. Stewardship and working together imply a need for participation and “fair process”. If there is a sibling who seeks to be too authoritarian, to be too directive in their leadership style, expect that there will be some problems with the group. You could have a family that are all Stewards and are fully committed to working together but where there is a lot of confusion over family, ownership and management roles. Most conflicts in a family business are “role conflicts”. Fortunately typical role conflicts can be predicted and therefore planned for. The important tasks in this scenario will include creating good boundaries between family and business; and between ownership and management. The good news is that a group of Stewards is likely going to have the motivation to do the work necessary to improve their skills at working together and to adopt good family business governance structures and processes. This includes cultivating emotional commitment to the family firm. The third alternative is that some members of the second generation will see themselves as Stewards, and some will see themselves as Inheritors. The third scenario is the case where there is a mix of views. In practice this is likely to be the most common scenario. The danger with this third scenario is that it has the potential to paralyze things if the siblings are unable to discuss and reconcile their differing views. If some are Inheritors, in an Asian family, the Stewards may not be comfortable to move ahead on their own while leaving the inheritors out of it because they fear this will imply the family is not united. Accordingly the group gets stuck. A way to reframe this third scenario into a more positive light is to realize that a healthy family is one that can balance the desire to be together (something the Stewards feel comfortable with) with the desire to be your own person (which is what the Inheritors want). Logically a family system in this third scenario has both ends of the spectrum and just needs to find a way to integrate balance or integrate them. This leads onto James E. Hughes next proposition which is that members of the second generation need to be able to have “adult - adult” conversations about whether each individual regards themselves as a Steward or as an Inheritor. These two groups will have different goals and expectations for their share ownership. They are two different types of owners. The two groups could be expected to have different time horizons, risk appetites, liquidity needs, and maybe different expectations for how the company should be managed. If the shareholders are not even able to acknowledge their fundamental differences of view point, if they are not able to “agree to disagree”, or if they are unable to discuss mechanisms for bridging their differences, there will be no leadership for the family firm. If the shareholders are frozen or in confusion, how do the directors know how to govern the business? Another reason is that “form should follow function”. For example, any trust structures or family agreements should be drafted to take into account whether you are looking at the first (all Inheritors), second (all Stewards) or third (a mix) scenario. The way a group of Stewards would want a family trust structure set up, or for a family shareholders agreement to be drafted, could be very different from the way a group of Inheritors would do it. What is an adult – adult conversation? James E. Hughes says that an adult – adult conversation is one where siblings can look at each other and listen to each other as adults, not based on their family roles as developed since childhood, and not based on the roles as defined for them by the business founder. In a family, roles and characters are defined from an early stage. It is common that one sibling will look at another sibling through a lens frozen in time. Nevertheless, life is about growth and cycles of change. An adult – adult conversation then is one in which each sibling can look at the other through the lens of the current reality. It is a conversation where you can seek to understand the other while knowing that you are not able to control their view, and they are not able to control your view. In an adult-adult conversation you are not able to impose your perception of what someone else “should” or “ought” or “must” do; or what “father would have wanted”. You cannot invoke “family obligation or duty” against your sibling. Such conversations require a respect for differences. It includes being able to agree to disagree, and being able to work with people who have different views from yours. There are two paths for increasing the chances of successfully perpetuating the life of a CFB and continuing the family legacy. The first way is through consolidation of the share ownership and bringing the family firm back under the centralized authority of a single owner. The second path can open up if the siblings, or a sufficient number of them, see themselves as a group of Stewards. However “Stewardship” should be seen as an intention or motive to want to work together. These positive intentions will need to be backed up by the necessary actions work and skills to convert intention into reality. Stewards will also need to adopt sound family business governance practices.